Tony specializes in kitchen, bathroom, basement remodeling, and all other phases of remodeling and custom carpentry work. Mike specializes in kitchen, bathroom, basement remodeling, and all phases of remodeling and custom carpentry work. Mark specializes in kitchen, bathroom, basement remodeling, and all phases of remodeling and custom carpentry work. 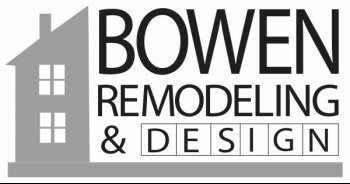 Corey specializes in kitchen, bathroom, basement remodeling, and all phases of remodeling and custom carpentry work. Ed specializes in kitchen, bathroom, basement remodeling, and all phases of remodeling and custom carpentry work. Sean specializes in kitchen, bathroom, basement remodeling, and all phases of remodeling and custom carpentry work. Billy specializes in interior/ exterior painting, drywall repairs, and wallpaper removal. Kevin specializes in interior/ exterior painting, drywall repairs, wallpaper removal, and light carpentry. Geno specializes in interior/ exterior painting, drywall repairs, wallpaper removal, and power washing. Glenn specializes in interior/ exterior painting, drywall repairs, and wallpaper removal. Walter specializes in interior/ exterior painting, drywall repairs, and wallpaper removal.